Security researchers Jean-Baptiste Bédrune and Jean Sigwald presented how to do this at Hack-in-the-box Amsterdam 2011. Since then, Apple has released an iOS Security Whitepaper with more details about keys and algorithms, and Charlie Miller et al. 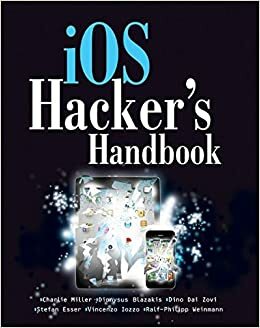 have released the iOS Hacker’s Handbook, which covers some of the same ground in a how-to fashion. When iOS 10 first came out there were changes to the backup format which Apple did not publicize at first, but various people reverse-engineered the format changes. The great thing about encrypted iPhone backups is that they contain things like WiFi passwords that aren’t in regular unencrypted backups. As discussed in the iOS Security Whitepaper, encrypted backups are considered more “secure,” so Apple considers it ok to include more sensitive information in them. An important warning: obviously, decrypting your iOS device’s backup removes its encryption. To protect your privacy and security, you should only run these scripts on a machine with full-disk encryption. While it is possible for a security expert to write software that protects keys in memory, e.g. by using functions like VirtualLock() and SecureZeroMemory() among many other things, these Python scripts will store your encryption keys and passwords in strings to be garbage-collected by Python. This means your secret keys and passwords will live in RAM for a while, from whence they will leak into your swap file and onto your disk, where an adversary can recover them. This completely defeats the point of having an encrypted backup. The iOS Security Whitepaper explains the fundamental concepts of per-file keys, protection classes, protection class keys, and keybags better than I can. If you’re not already familiar with these, take a few minutes to read the relevant parts. Now you know that every file in iOS is encrypted with its own random per-file encryption key, belongs to a protection class, and the per-file encryption keys are stored in the filesystem metadata, wrapped in the protection class key. Decode the keybag stored in the BackupKeyBag entry of Manifest.plist. A high-level overview of this structure is given in the whitepaper. The iPhone Wiki describes the binary format: a 4-byte string type field, a 4-byte big-endian length field, and then the value itself. The important values are the PBKDF2 ITERations and SALT, the double protection salt DPSL and iteration count DPIC, and then for each protection CLS, the WPKY wrapped key. Using the backup password derive a 32-byte key using the correct PBKDF2 salt and number of iterations. First use a SHA256 round with DPSL and DPIC, then a SHA1 round with ITER and SALT. Unwrap each wrapped key according to RFC 3394. Decrypt the manifest database by stripping the initial four-byte length tag from the ManifestKey in Manifest.plist, and unwrapping it using the data protection class 4 NSFileProtectionNone. You now have a SQLite database with all file metadata. For each file of interest, get the class-encrypted per-file encryption key and protection class code by looking in the Files.file database column for a binary plist containing EncryptionKey and ProtectionClass entries. Strip the initial four-byte length tag from EncryptionKey before using. Then, derive the final decryption key by unwrapping it with the class key that was unwrapped with the backup password. Then decrypt the file using AES in CBC mode with a zero IV.